AMD Bulldozer: Will it be an Intel Killer? You are here: Home › Computers › AMD Bulldozer: Will it be an Intel Killer? AMD has announced the shipments of the x86 “Bulldozer” architecture… unfortunately for the masses, it is the Opteron server based processors and not the Zambezi (FX Series) desktop processors. I’m getting ready to build my next setup and I was looking at the new AMD bulldozer, do you guys think it will be as good as AMD is saying it will be? Will it actually give AMD a larger market share? 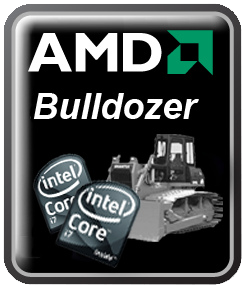 Will the bulldozer even compare to Sandybridge? AMD announced that the initial production of the world’s first 16-core x86 processor, codenamed “Interlagos” (Opteron Series) began in August, with shipments now underway to customers (OEM customers). 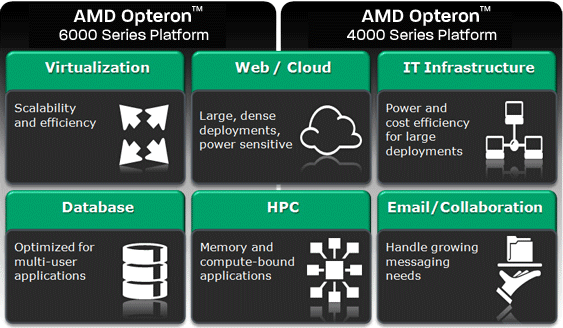 The Opteron is compatible with existing AMD Opteron 6100 Series platforms and will be available to partner systems by Q4 this year. The Opteron processors are built on 32nm process technology, utilizing either 8, 12, or 16 cores (model dependent), quad-channel DDR3 memory controller, up to 16MB of L3 cache, and four HyperTransport links. Previous Entry: Steve Jobs Resigns as CEO of Apple: The End of the Apple Era? Previous Entry Steve Jobs Resigns as CEO of Apple: The End of the Apple Era?